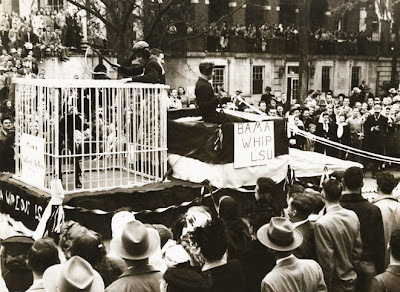 The parade through Tuscaloosa prior to the 1947 game against LSU. 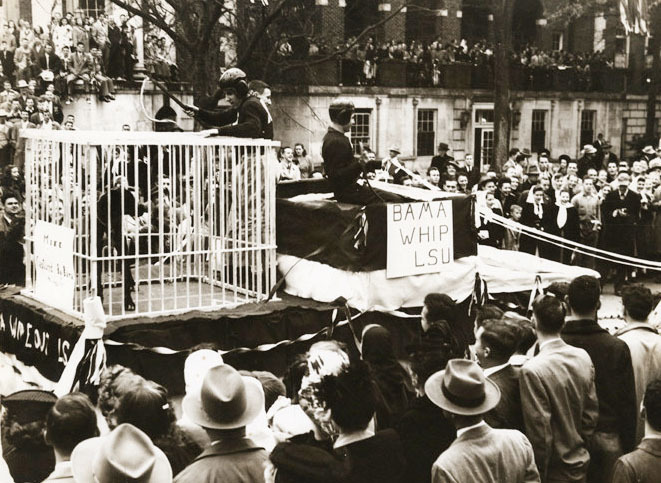 The sign on the cage reads "Mike Captured by Bama." The Crimson Tide bested the Bayou Bengals 41-12. 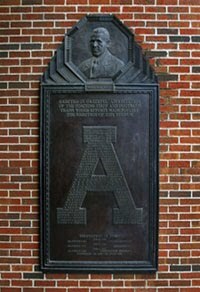 The victory earned the two-loss Crimson Tide a bid to the Sugar Bowl to face the University of Texas.